Tonight's episode of Bigg Boss 11 will have several ingredients - announcement about Shilpa Shinde as best 'secret teller' will take place on the upcoming episode. On yesterday's episode, the contestants had to reveal their biggest secrets to the viewers on camera and Bigg Boss picked Shilpa as the winner but she doesn't know yet. After winning the task, Shilpa is safe from tonight's nominations. Bigg Boss appoints the captain of the house Puneesh Sharma to take seven names whose performances have not been up to the mark in the past episode and those names include contestants like Sabyasachi Sathpathy, Hiten Tejwani, Sapna Choudhary and Priyank Sharma. Talking about Priyank, he has an ugly fight with Arshi Khan. It all begins in the kitchen area after Priyank said that Arshi should be isolated and the housemates should better not talk to her. 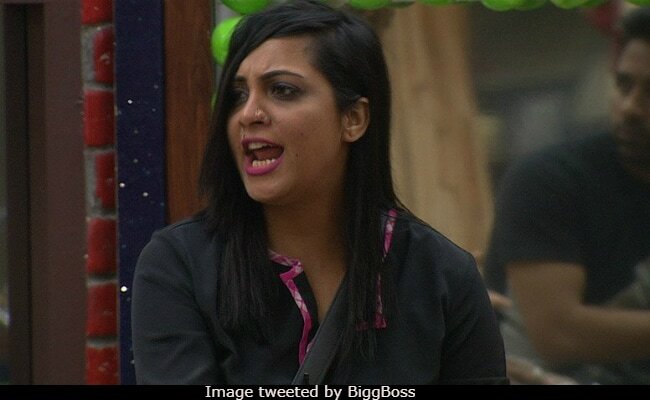 Arshi retaliates saying her competitions have all been evicted from the show, so trying to harm her reputation is not a great idea. Priyank asks Arshi to take it easy saying the happenings of the house will be discussed over the weekend and that's when he'll talk about Arshi. With the warring contestants teasing each other - soon, a sarcastic exchange of words turn into a massive war of words with Priyank successfully managing to perturb Arshi. Known for being a loud-mouth herself, Arshi loses her temper after comments on her personal life and hurls abuses at Priyank, who appears to keep her calm and asks Arshi to go away saying she "stinks." Shilpa interferes and tries to drag Arshi away and gets yelled at. All said and done, who do you think will be nominated on tonight's episode? Tell us in the comments below.